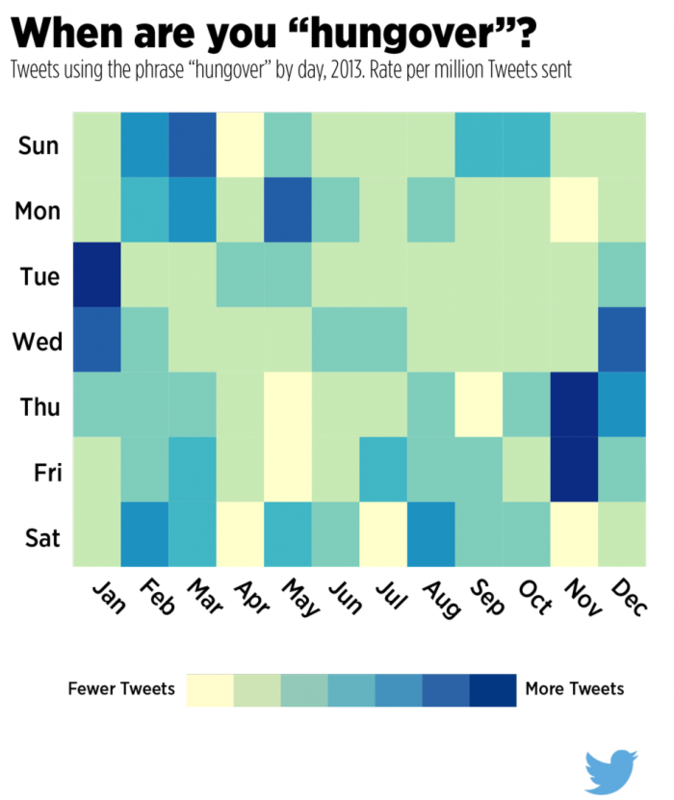 When you’re hungover, do you tweet about it? 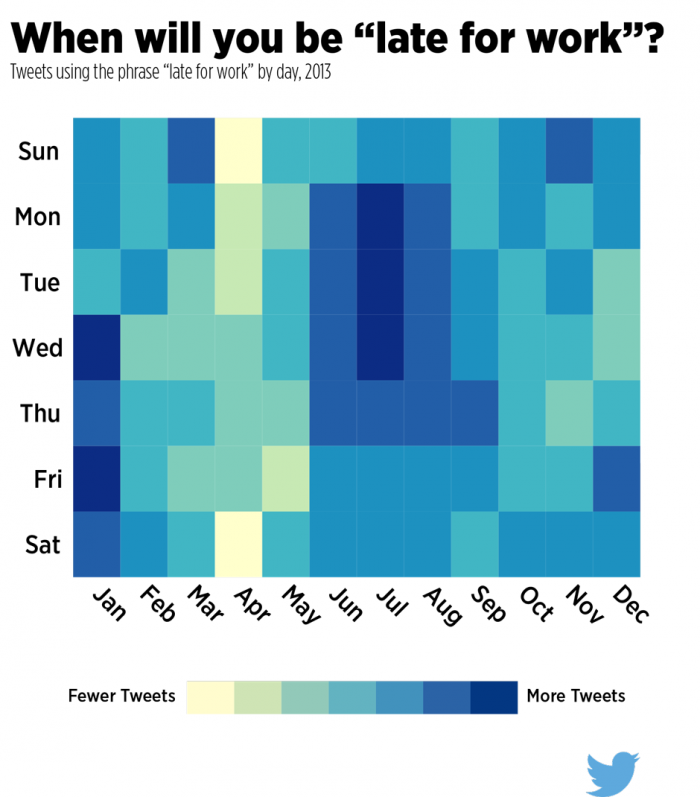 In these heady days where everything we say and do online can be easily scrutinised by our boss (or potential employers) it’s probably not the wisest move, but millions do it, week in, week out. 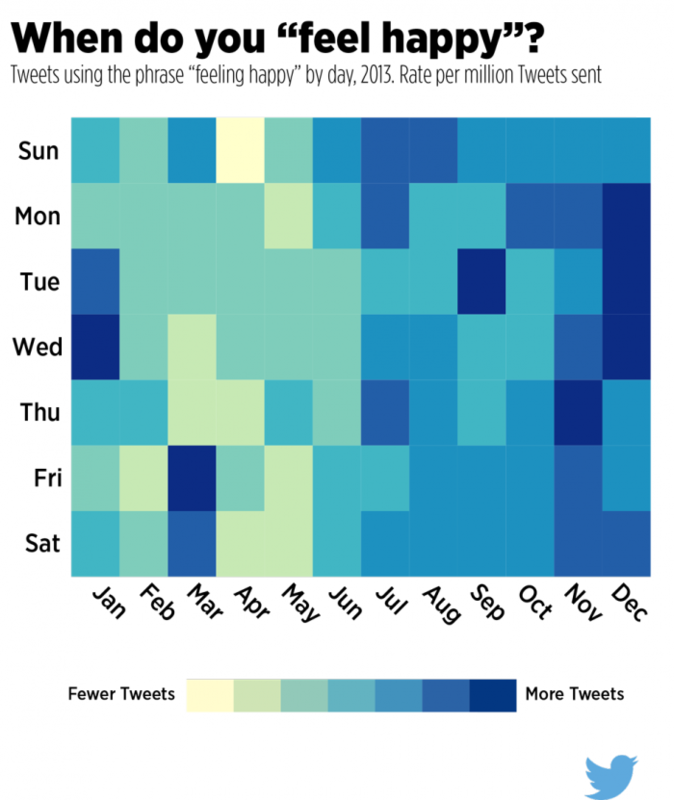 And new data from Twitter has revealed which days of the week we’re most likely to be talking about being hungover, as well as when we’re happy, sad or late for work. 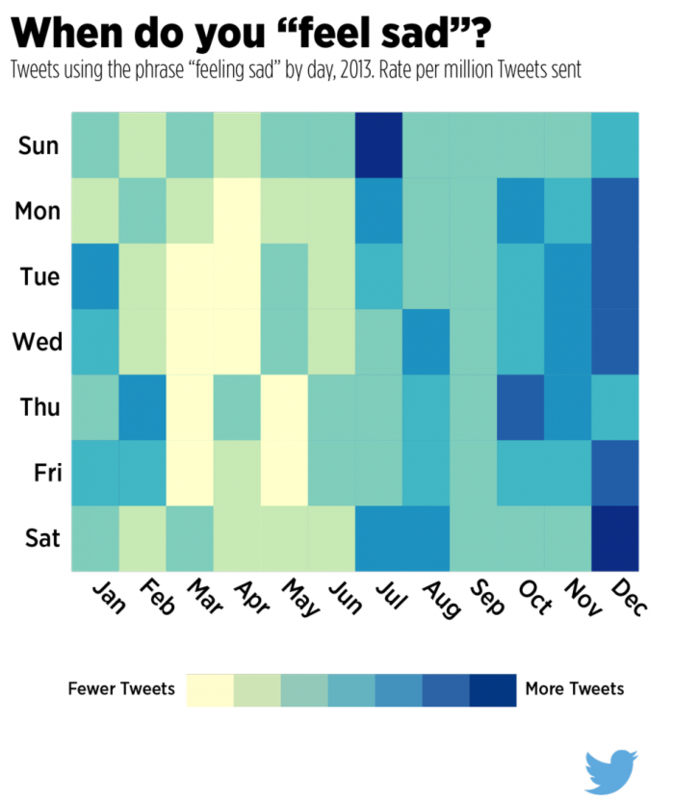 Here’s the findings, courtesy of a series of graphics which reveal the frequency of tweets about given topics over each day of the week and each month of the year.